“43North” Attracts Worldwide Ventures; May 31 Deadline Approaching. Albany, NY - April 8, 2014 - Governor Andrew M. Cuomo today announced “43North” is attracting thousands of applicants from around the globe. Entrepreneurs, startups and teams from across the globe have been racing to turn their business ideas into reality in Buffalo, New York for the world’s largest business idea competition with $5 million in cash prizes, including a top award of $1 million. Winners will receive free incubator space for a year, guidance from mentors related to their field and access to other exciting incentive programs. “The 43North business competition is off to a great start, attracting promising start-up ventures and entrepreneurs from around the world to Western New York,” Governor Cuomo said. “Innovators from as far away as China and South Africa have applied to take part in this cutting-edge competition and choose Buffalo as the place to bring their ideas into the marketplace. This program will help our state's efforts to rejuvenate the economy of Western New York and position Buffalo and all of Upstate as the place to be for new startups to thrive and grow." "With Governor Cuomo's vision and leadership we are attracting innovation to Western New York and not just spurring industry and job growth, but building a culture entrepreneurs can really thrive in," Lieutenant Governor Robert J. Duffy said. "Today's announcement is another win for Buffalo, with 43North garnering interest from applicants all over the world, eager to be a part of Buffalo's growth and success. The nation’s biggest competition of its kind, situated in the heart of Buffalo, is a demonstration of the Governor's commitment to the Buffalo Billion promise, and I look forward to the creative and forward thinking ideas this will bring to the region." 43North is designed to systematically generate new business ventures in Western New York, while providing mentoring and other aid for aspiring entrepreneurs; supporting early-stage firm growth; and attracting additional venture funding. Round 1 (February 5 – May 31): Applications from prospective businesses will be accepted via the competition’s website, 43North.org. Round 1 is for applicants to provide a vision for their venture, including their business concept, target customers, industry overview, competitive landscape and revenue potential. This submission is not intended to be as comprehensive as a detailed business plan, but should provide the judges with a summary of the major elements of the venture. Round 2 (September 15 – September 20): The semifinalists will present further detail on their plan and a 10-minute online presentation to 43North’s judging panel, which will be followed by 10 minutes of questions. The plans put forward in Round 2 will include the venture’s business concept, value proposition, competitive analysis, communication and distribution channels, client relationships, key stakeholders, resources and activities, cost structure, revenue streams and financial considerations. Round 3 (October 27 – October 31): The final stage of the competition is for finalist teams to pitch their business in person to a panel of judges in Buffalo. Each team will have 10 minutes to sell their business idea, followed by 10 minutes of questions. Teams will be assessed on overall organization of the presentation; the team’s ability to ‘sell’ the idea and need for the company; the team’s ability to defend the plan and be responsive to questions; and the quality of the overall plan. The competition concludes with the selection of winners and celebrations. 43North is open to applicants ages 18 and older in any industry, with the exception of retail and hospitality. Applicants can enter the competition by May 31, 2014 at http://www.43north.org. 43North is part of New York Governor Andrew Cuomo’s Buffalo Billion initiative, which is driving new economic opportunities throughout Buffalo and Western New York. The competition operates through the support of New York Power Authority and Launch NY. 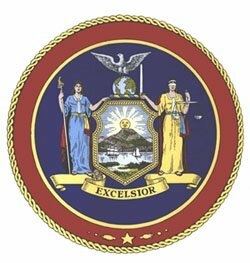 Subject: LongIsland.com - Your Name sent you Article details of "Governor Cuomo Announces Applicants from 56 Countries and 48 States Participating in World’s Largest Business Idea Competition"